Recently, Ambedkar Periyar Study Circle, an ‘Independent Student Body’ was de-recognized by IIT Madras. 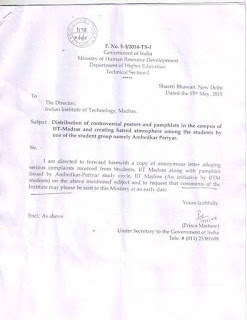 De-recognition of the student body was due to non-following of the guidelines prescribed for an Institute student body. Hue and cry generated by APSC’s views and controversial pamphlets and by the media claims the freedom of speech curbed. 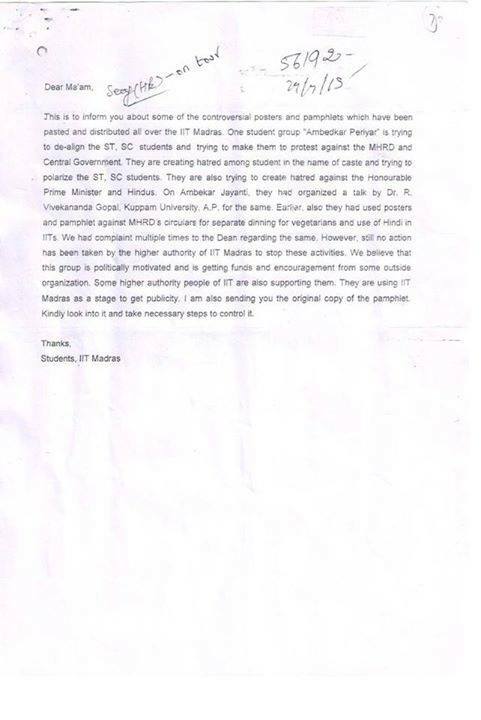 The pamphlets provoke divisive thoughts accusing IITM as ‘under brahminical tyranny’ and ‘fight towards liberating the mass from the clutches of Hinduism’. Political parties started fishing in troubled waters to gain publicity from the internal matter of IITM. Backing the decision of de-recognition of IIT M, ABVP National Secretary Shri Shreehari Borikar issued a press statement in Delhi. 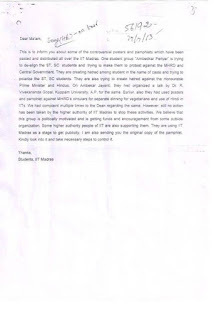 Shreehari Borikar IIT Madras administration has taken steps to curb the ongoing antisocial activities of a student group named “Ambedkar Periyar Study Circle” by de-recognizing it meaning thereby that it will not be able to use the IIT symbol and name. 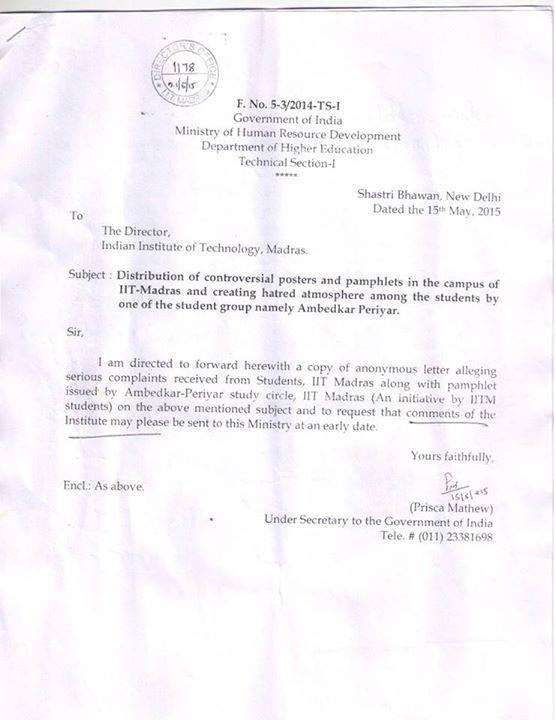 ABVP welcomes this step of IIT administration. Unfortunately many media groups and political parties have misreported that, this student group has been banned, which is not true. This particular student group has been indulging in spreading social tensions through their verbal violence aimed at religious Hindus in an institute known for its academic excellence. This group has been targeting the faith and feelings of thousands of students in the campus and that is why they complained about its activities. 1) Do you want to transform an excellent educational institute like IIT in to a center of political propaganda and fights? 2) Do you not believe in India’s Constitution written by Dr.Ambedkar? If you did you would not become spokesperson of these people whose are spreading social disharmony? 3) Is the meaning of ‘freedom of expression ‘limited to abusing a particular religion? By raising this particular issue, does Mr. Rahul Gandhi aim to spread tensions in Educational institutions? ABVP condems the words and actions of Shri.Rahul Gandhi on this issue. He is playing in the hands of the communist propagandists who are mischievously playing the caste card on the issue to polarize the students.